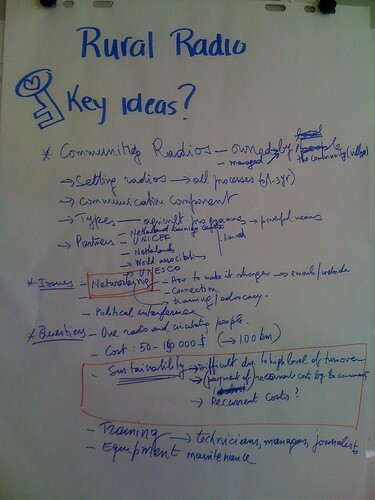 Last week IFAD organized a seminar on Community Driven Development (CDD) and we thought Rural radios could be a very important issue to raise while talking about the way communities can be empowered. * World Café and final debriefing during Day 2. We had a stand dedicated to Radios and the opportunity during Day 1 to share with several groups of the participants many information on Radios and the What, When, Where and Why we consider radios fundamental to support communication in development projects. Categories: news | Tags: chat show, communication for development, FAO, IFAD, rural radios, world cafe | Permalink.